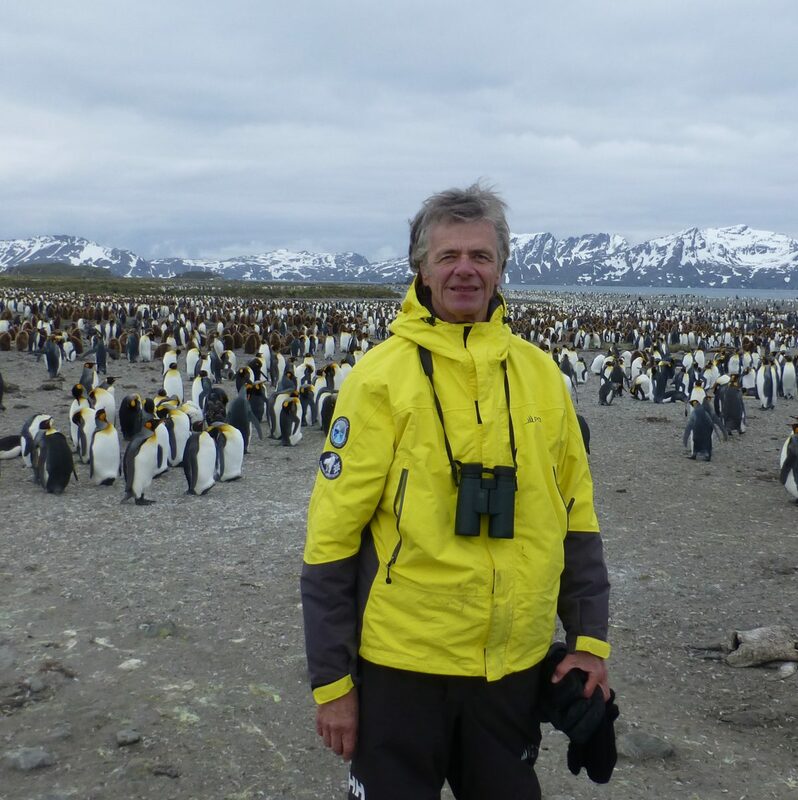 Nadine, who walked with us on April 5, 2016, told us the tragic story of the death of 24 year old Bronwyn Dalziel who volunteered over 500 hours a year to birding causes. 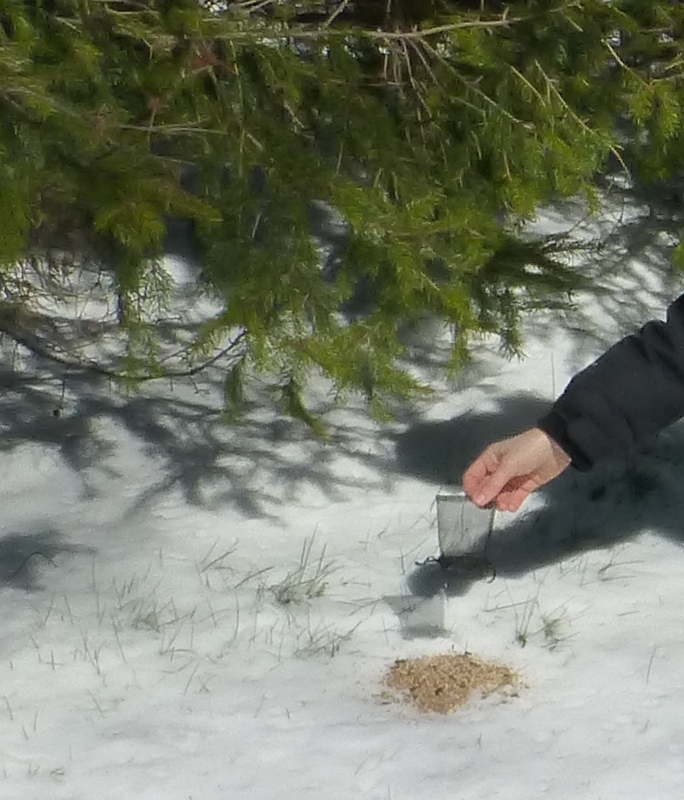 At Bronwyn’s funeral, little bags of seed were given out to be spread out for birds in memory of Bronwyn. Nadine did that this morning under a Norway spruce tree; a tree loved by grackles which were Bronwyn’s favourite bird species. TRCA and TTPBRS are greatly saddened by the tragic loss of Bronwyn Dalziel on March 27, 2016 in an automobile accident. Bronwyn first came to TTPBRS when she was only about 12 years old and wanted to volunteer. Being a bit too young she was told to return when she was 16, which she did. Still in high school Bronwyn devoted her weekends to the station and quickly honed her birding skills and advanced through her ornithological training. After starting university she was able to schedule her classes so that she could devote more time to TTPBRS during the week. In fact, since 2009 she volunteered over 500 hours every year to TTPBRS, not to mention her other birding pursuits! 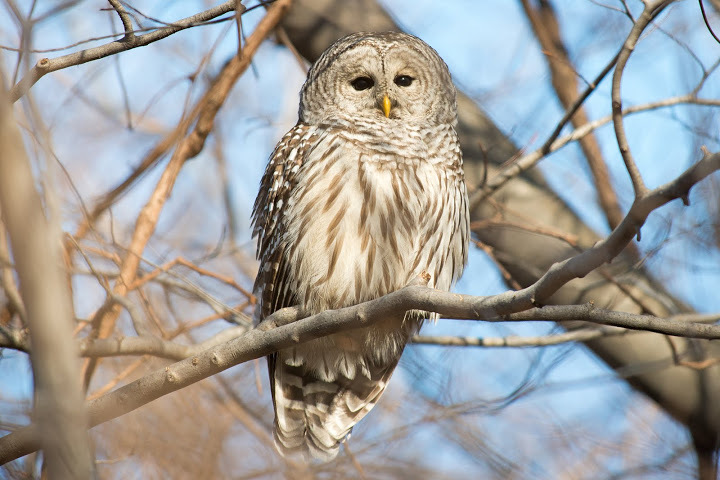 In 2013 she received an Ontario Volunteer Service Award that recognized her commitment to volunteerism (if not to birds). 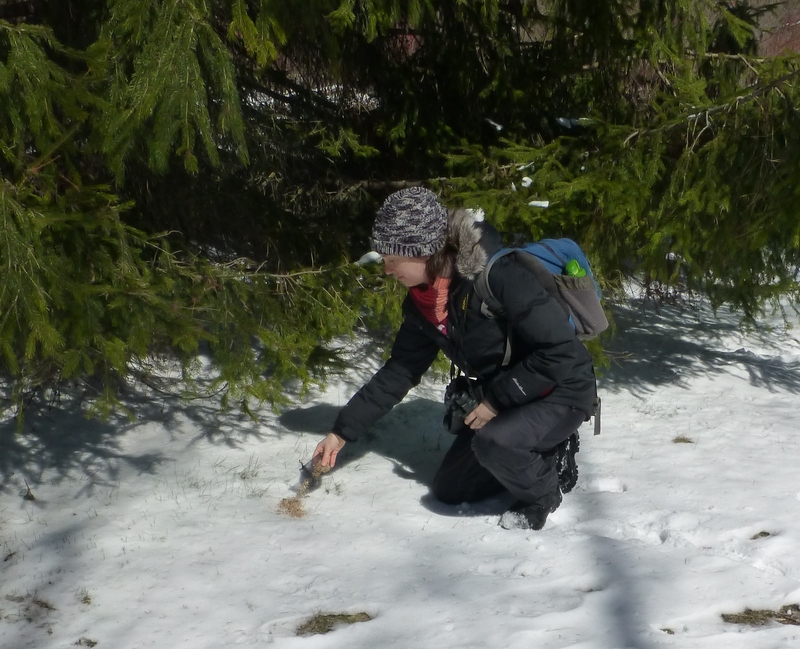 In 2014 Bronwyn received a Natural Sciences and Engineering Research Council of Canada scholarship to further her, and our, understanding of migratory bird stopover ecology at Tommy Thompson Park, which she was due to complete later this year. She had become a fixture at TTPBRS and the official volunteer Assistant Bander that Coordinator Nigel Shaw, and all the volunteers came to depend on. 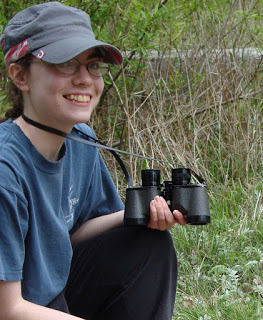 Bronwyn’s love of birds and dedication to bird research was contagious. Everyone who met and came to know Bronwyn recognized her skills and devotion, and her dry sense of humour was always welcome. 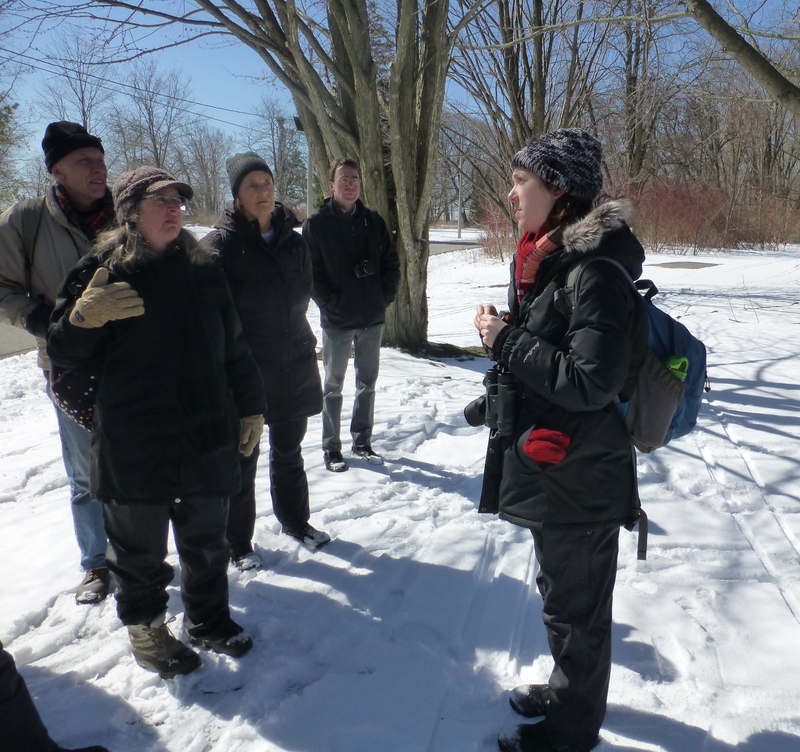 She was clearly passionate about birds, whether it was analyzing grackle behavior (her favourite bird), sitting in the cold waiting for gulls to arrive at her trap, or travelling to South Africa with her TTPBRS pals to further her banding experience. 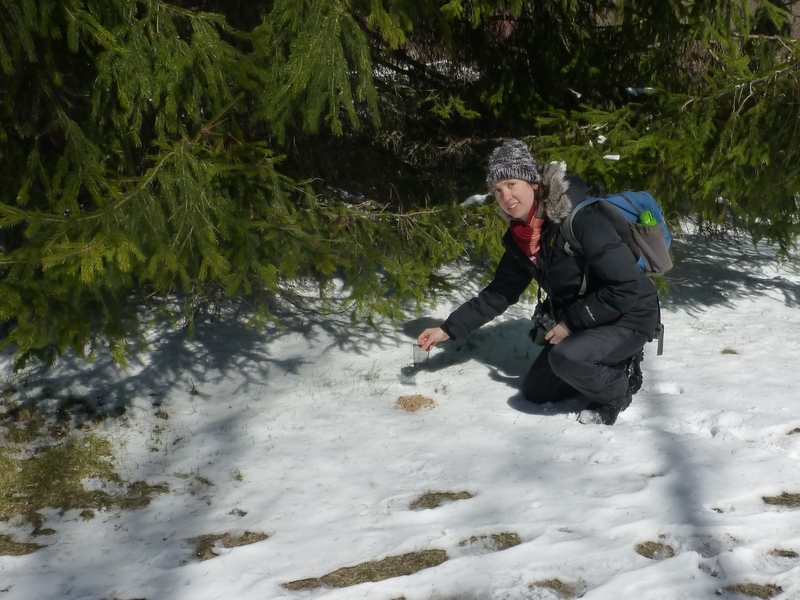 On Sunday March 27th we lost a young, very bright ornithologist who will be deeply missed by her friends and colleagues at TRCA and TTPBRS. Nadine spreads seed in memory of Bronwyn. This entry was posted in Articles and Photo Essays on December 7, 2016 by milesghearn.